A bedroom sculpted by L. Majorelle. 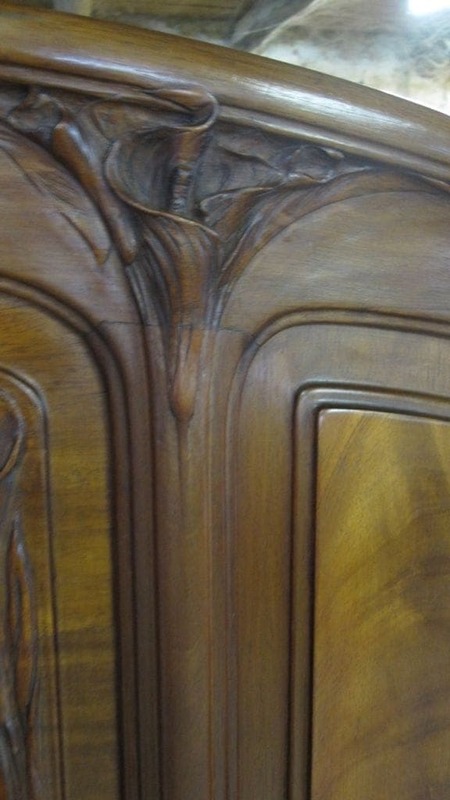 This bedroom has features of the art nouveau and of the art deco. 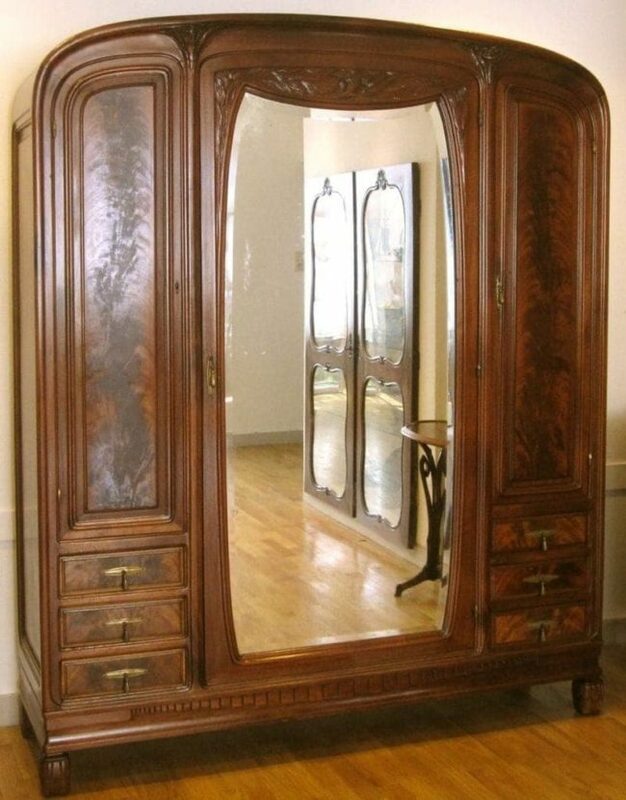 The form of the armoire/wardrobe and the mirror are typical art nouveau. See also Alastair Duncan page 65, photo no. 32. Also the carved flower of the Arum lily, and the flowers above the mirror is a real representation of the nature and also art nouveau. 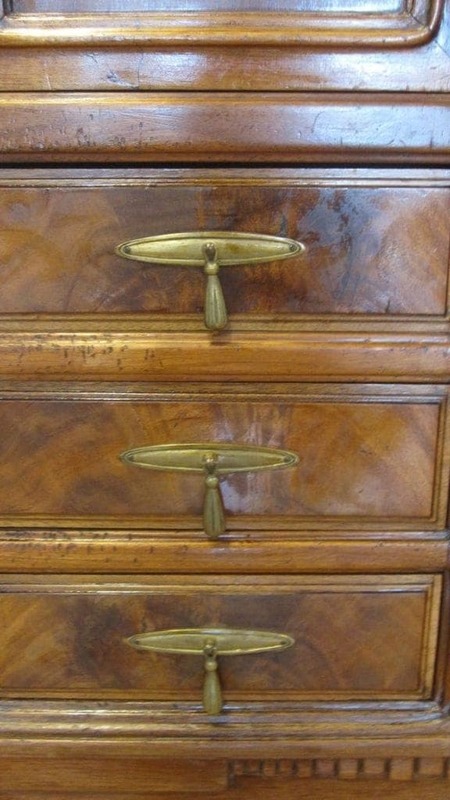 The underside of the armoire/ward robe and of the bedside cabinet have a more geometric representation, and is also more art deco. The furniture of Majorelle is mostly signed. 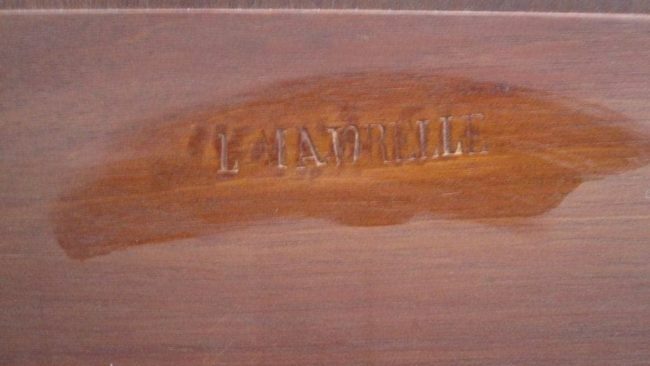 The bed has been signed by L. Majorelle (Cut by hand in the wood). 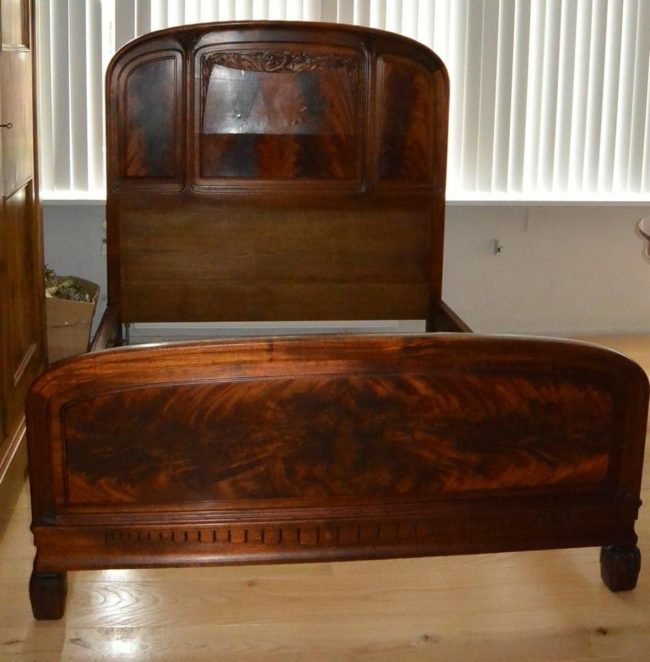 This bedroom is in an original unrestored state.